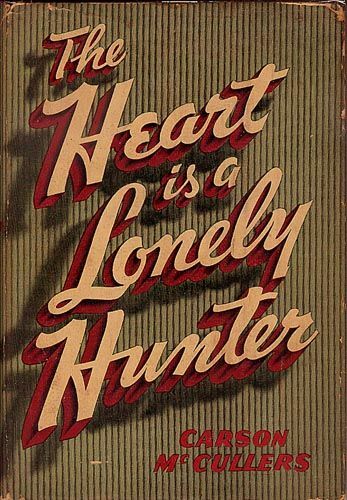 The Heart is a Lonely Hunter was another gripping tale from our list; this one told the story of a time in one man’s life, although it differed from An American Tragedy in that it focused less on the decisions this man made and more on the acquaintances who encircle his space in small town Georgia. The storyline revolves around the lives of these four, and while they have some interaction with each other and with other secondary characters, they all feel a strong pull towards Mr. Singer. The fact that he is deaf and mute does not hinder their communication with him at all; in fact, it is his silence and reserve that brings out the innermost emotions of the four, as they feel secure with him. Singer’s solitary, ordered room offers a safe harbor where they each explore the depths of their own thoughts as they narrate the events of their lives to him, and process the events through that narration. This book has no wildly turning plot points or surprises, which was just fine! It’s a leisurely stroll through the lives of a dozen or so central and secondary characters in the Deep South. It’s somewhat similar in tone to The Grapes of Wrath without the backdrop of the Depression. That probably makes it sound quite boring, but it’s not! It’s leisurely. Wear your comfy slippers and read it with a cup of tea on a rainy Sunday. “In the first dark hours of the morning the sky was black and the stars hard and bright.” (2265) The description of the sky and stars is used often to mark the exact time of day/season, and all the descriptions provide a clear visual. “The winter afternoons glowed with a hazy lemon light and shadows were a delicate blue.” (2920) Hazy lemon light – love that! “The sky was a cold azure and the stars were very bright.” See what I mean – cold azure – you can picture that. “The black, starlit sky seemed close to the earth.” (5239) OK, that was the last sky description I’ll post for now. Make this one a bedtime book. It’s a great read, but I can close it, turn off the light, and zzzz…. from me, although I feel like I should give it extra points for being written by a young woman – Carson McCullers was only 23 when this enduring tome was published. Thanks Petie! Yep, I loved that quote too, and I can’t believe the author was only 23 when it was published!